Welcome to the Foxes Class page. The Class Teacher is Mrs Davies and the Teaching Assistant is Miss Roberts. Today we explored the bones that we have in our body, we drew around our bodies and labelled our diagrams with the correct bones. Appointements are now available to meet with Mrs Davies on either Tuesday 26th February from 3:20 - 5:00pm or Thursday 28th February from 2:00 - 5:00pm. Please select an appointment time at the classroom door at arrival or home time. Alternatively phone the school office and Mrs Brown will do her best to make a convenient appointment for you. Have you ever heard of a kapok tree? Without looking at any of the pictures, the children listened intently to a descriptive paragraph and then using their inference skill, they created their own interpretation of what they thought the scene might look like. We were blown away by the children's attention to detail and how unique each piece of work looked! Come and see eye catching display within our class to see all of pieces of art work. Predicting what will happen next in the story. As we reached the end of 'The Great Kapok Tree', the children were left wondering what could have happened next. The children worked in pairs to play two of the characters in the story and roleplayed their own ideas. It was incredible to watch the children not only develop new dialogue between the characters but also begin to create a balanced argument, using some debating skills. They were able to justify their reasons for wanting the tree cut down and not wanting to cut the tree down. They used emotion within their voices and their facial expressions really brought the characters to life! An excellent effort Fox Class. The children were keen to share what they already knew about the Amazon Rainforest in a group discussion. However, the more we discussed facts about this amazing place made us think how much more there is to learn! The children have created a 'lift the flap' display in Fox Class by writing a question on a post it note, then researching the answer and writing it on a post it note underneath. Within minutes, I heard, "Wow, I didn't think of that question!" or "What an interesting fact! "as other children explored the display. What an incredible start to our new topic! The children have been busy working on our business and enterprise projects to sell at our Christmas Fair. We looked at the different aspects such as cost, profit, resources needed, researching prices and skills we would need to make our projects. Our christmas pudding rice crispie cakes went down a treat! Also thanks to Fox Class, there are now lots of fmailies that have beautiful handmade natural stars to add to their own Christmas decorations at home! The children have been enthralled by all of the amazing facts we have learnt about the Stone Age this term. We have used the class iPads to find out information about Stonehenge, before creating a beautiful piece of art work about this awe and wonder place. As a class we explored the dangers of walking behind parked cars and encouraged the children to think deeply about what could happen. Some of the children instantly noticed that some of the back windows of the cars are taller than the children. We also conducted a traffic survey, to find out what types of vehicles are the most popular and had a debate about which type of vehicle was the most dangerous. We spent the afternoon exploring a Gist lorry. We found out some interesting facts about stopping distances and where to stand so a lorry can see you along with how to cross a road safely. The parents and carersof Fox Class were invited into class to make some Stone Age bread, the bread was then cooked throughout the day and sent home with the children at the end of the day. It smelt delicious when it was cooking! We also watched a photo slide show of our learning from this term. Thank you to all of the parents, carers and family members that were able to come and spend some time with us. Keep your eyes peeled for the date of our next showcase event! For the annual Christingle service, some of the children in Fox class had the role of telling the audience all about the Children's Society and how they support vulnerable children. Well done you were fantastic! We left school at 9am, ready for jam-packed day. We were able to have a tour of the site, view the remains of the causeway, make our own Stone Age artefacts and experience what it was like in a round house. This was perfect way to end our topic 'We Will Rock You', as the children were able embed their learning and this was evident as the children asked so many relevant questions. Well done Fox Class! This week we have been learning all about Skara Brae. The children became tour guides as we shared facts about this amazing place and created mind maps as they researched key information. It is a pleasure to display such fantastci pieces of homework projects based on the Stone Age. Each child took so much time and effort to produce such unique pieces of work. We have enjoyed sharing each and every piece and it has certainly made sure our class room is fully emersed in the Stone Age! This week, we have written diary entries from the perspective of Barney from Stig of the Dump. The children tried extremely hard to capture how Barney could have been feeling when he first fell into Stig's dump. The children then worked in pairs to peer assess each other's work. It was lovely to see how carefully they looked for all of the different features and there were so many positive conversations. Well done Foxes! What a fantastic morning we had! The Fox Class invited their families in to share their learning so far this term. It was lovely to see how the children show cased their learning by demonstrating how to do some of the activities we have done over the term. A really big thank you to all of Parents, Carers and Grandparents that were able to attend today. We have been working incredibly hard in Fox Class to develop our place value knowledge of 3 digit numbers. Today the children worked in pairs to solve a series of calculations that involved exchanging 10 ones into 1 ten. The children used the dienes to solve the calculations. We went outside to explore ordering 3 digit numbers on our playground. We discussed the differences between the hundreds, tens and ones columns and how this would make a number bigger or smaller. The children then used large chalk to order 3 digit numbers. Some children drew the dienes on the floor to support their learning. As a challenge, we looked at ordering the numbers in ascendingly or descendingly. A fun morning had by all! What food did they eat in the Stone Age? Today we became archaeologists and explored what people ate during the Stone Age Era. The children have recently been learning about how Neolithic people caught and cooked their food and we had lots of fun foraging for natural materials to make weapons. The children decided that this would have been very difficult to do, especially if you were starving or the weather was cold! The children examined three types of 'poo' and investiagted what was in each one. They needed to match up the samples to the correct person: Eric the huntergatherer, Eric the farmer and Eric the modern day man. We were able to see how the diet of Neolithic people changed as they began to grow their own food. We also looked at a modern day sample and made some comparisons. Have you ever wondered how to wash a woolly mammoth? As our exciting new topic this term is the Stone Age, we will be exploring this topic across all areas of the curriculum. Today the children were using imperative verbs and prepositions to describe how they would wash each part of his enormous body. After doing some research the children were amazed at how big a woolly mammoth would actually be, "Did you know, I think it would fill our entire classroom!" What would you do without instructions? As a class we discussed if instructions were useful. The children shared their ideas and thoughts about why instructions are important. Here are some of the fantastic ideas shared by the children. "Without instructions, you might do something in the wrong order." "Instructions help to keep you safe because they tell you what you should do." "Things would take a lot longer to do if you didn't have any instructions to follow." The children then moved on to following a set instructions to create their very own origami woolly mammoth. As a class we discussed how we get clothes and food in todays world. We then explored what it was like in the Stone Age. Thinking deeply about what the Stone Age people needed to do to survive. The children decided that it would have been difficult to survive in the Stone Age because they had to hunt for their own food and make their own clothes. 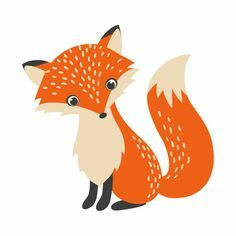 All of a sudden one Fox exclaimed, "Not only did they need to hunt for their own food but they would need to make something to kill the animals, they would need to spend time making their weapons!" The children decided that this would have been a hard task to complete if you were feeling hungry. In our music lessons this term, we will be exploring Rock and Roll music. This week the children have been learning about music notes and rests by identifying them in a match up game. The whole class blew Mrs Davies away with their fantastic knowledge! The children worked in small groups and represented numbers in different ways by using the part whole method and drawing pictorial representations. During discussions, the children began to apply their reasoning. Well done Foxes!